I was playing around in the kitchen a couple of weeks ago and I came up with this recipe. Inspired by Tex-Mex grub from the Southern USA and countless hours of 'Mexican Food Made Simple' on the Food Network, it's unbelievably simple, outrageously tasty, and actually pretty inexpensive to put together. The holy trinity of cooking if you ask me. Finely chop 1/2 a red onion, a couple of cloves of garlic, about an inch of fresh ginger and a green chilli pepper. This is one of my favourite flavour combinations right here...stick these ingredients together with anything and you'll do well to mess it up. Fry them off in a splash of oil for a couple of minutes, just to release the flavours. 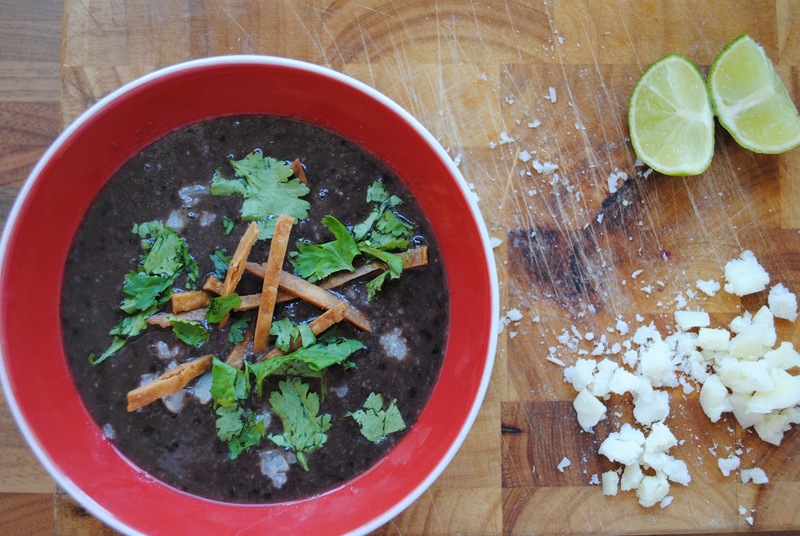 I love this recipe especially because black beans are found in the Afro-Caribbean section of the supermarket, and any day you get to spend some time in the Afro-Caribbean section of the supermarket is a very good day. Using a food processor, or hand blender if you have one, mix up the onion, garlic, chilli and ginger with about 3/4 tin of black beans, liquid and all. Stir in chicken stock until you've got a thick soupy consistency and bring to the boil on the hob. Reduce to a simmer, add the rest of the beans and leave it to heat through whilst you get your sausages on the go. 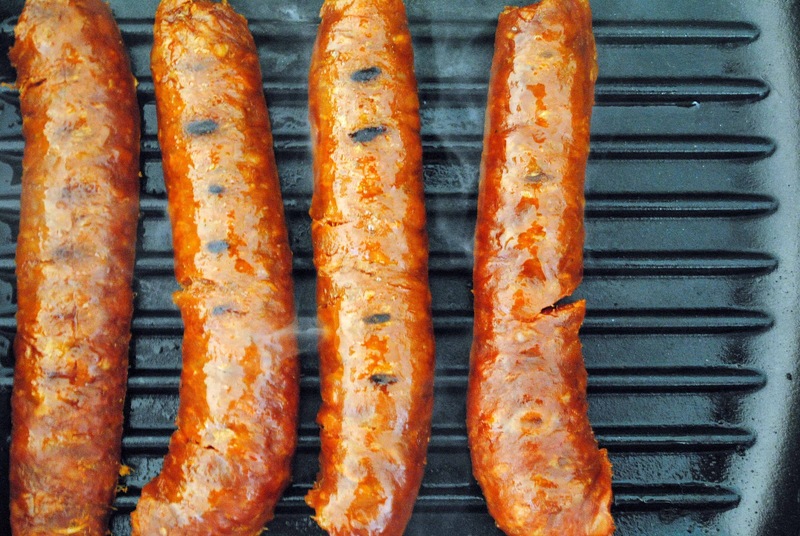 You can't beat chorizo sausage. I like a Lincolnshire or Cumberland as much as the next guy, but here the Spanish truly have the edge. Smokey, spicy, salty...I'm sold. Slice them down the middle and cook them off on a hot griddle or frying pan. The smells filling your kitchen will be something special. I'm sure my girlfriend would follow that with some sort of joke but I'm not that immature. I'd like to make a Mexican-language television detective series. The lead character would be called 'Manchego Cheese'. Imagine his moustache and oversized sombrero. I think it has legs. Anyway - for now this is my new favourite cheese. Parmesan-esque, it has a really great flavour. Crumble some Manchego into your tortilla wrap with the chorizo, a few sprigs of coriander (or in this context, cilantro) and a bit of salad. Squeeze some lime over and that's a wrap. Sorry. Slice thin strips of tortilla and fry them off in some oil for a bit of crunch of top of your soup. Crumble some cheese, add a bit of coriander and a squeeze of lime and that's all she wrote.